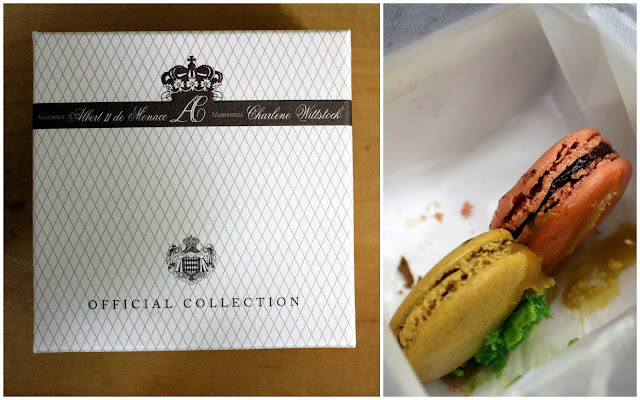 So the debate is: What makes a good macaron? It’s a very difficult question because I doubt anyone can claim authority to answer it. For myself it was the multi-textural experience and the smooth luscious filling in the middle that first made me fall in love with macarons (specifically chocolate!). I had it during a history field trip in France a looong time ago- at some nondescript petrol kiosk. I’ve been overindulging a little recently, thanks to my very kind friends who know I have a bit of an obsession with macarons. 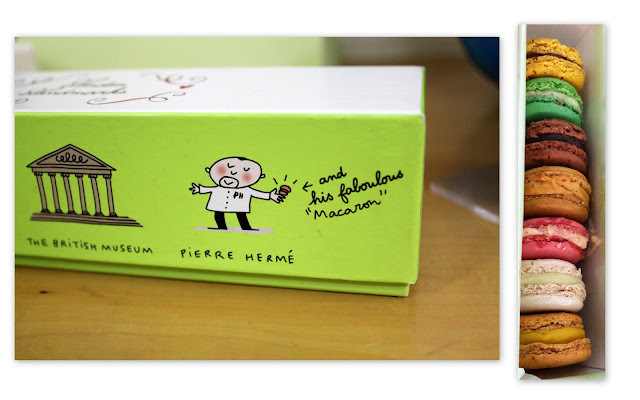 Pierre Hermé‘s macs need no introduction of course. I did a lengthy exposition on all the different flavours I had previously. Out of these the only flavour I never tried before was the fresh mint and sweet pea (it’s the green, two-toned mac pictured above). The peas in the filling really caught me by surprise. An ode to the pea mash we often see as a side for fish and chips I suppose? The friend also got me a very cute PH box featuring london landmarks like the tower bridge and a caricature of the man himself! Today I visited the shop itself because my friend is working part-time there. I tried all the flavours before except for the Vanilla with chocolate pearls and this Mint with chocolate pearls. The Vanilla notes were really strong, and coupled with those crunchy chocolate pearls, it made the less outstanding buttercream (to me at least, I know people who like the buttercream) forgivable. I’ve got to say this is one of the better and more memorable Vanilla macs I’ve had by far. The Mint was also very excellent because it wasn’t too overpowering – just a light minty touch. A single mac costs $2.20 but a box of 9 will cost you $19 (or is it $18? ). There is a small sitting area and some parking outside (parallel lots, oh the horrors!). So do make a trip down when you can.